Over wintered onions are onions which have been planted in the autumn and literally grown over the winter. They are the first onions to emerge from the ground and the first to be harvested in mid July. 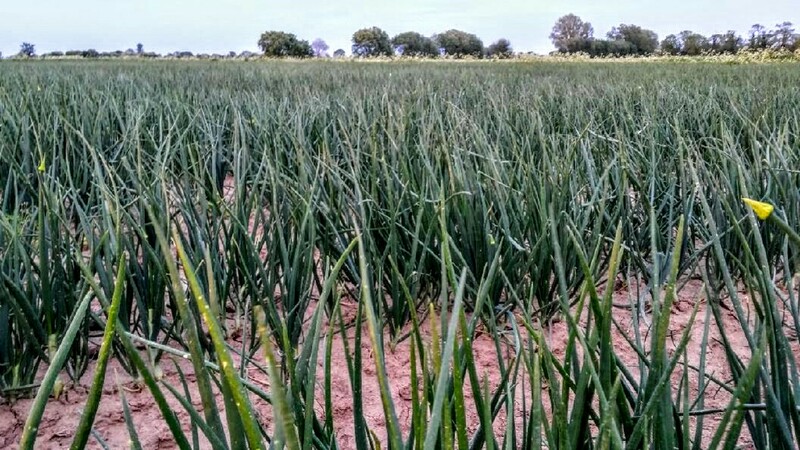 This important early crop is predominantly grown on our farms in Lincolnshire and helps us to shorten the imported onion season. This years crop is looking good and healthy so far. We just need some favourable conditions this spring time to let the crop develop it's full potential and of course some dry sunny weather at harvest.